Several astronomical events influence our astrological world this week, and the planet Uranus assumes retrograde motion on Saturday. The Moon is waxing all week, which makes this a week for setting new plans in motion. Venus and Mercury are also active, but the biggest aspect of the week is an angle of opportunity between Jupiter and Pluto. 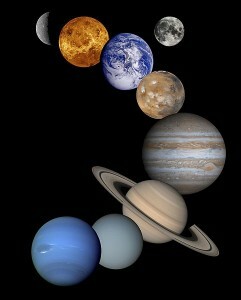 This summer, the outer planets Saturn, Uranus, and Pluto form a configuration called a T-square in the heavens. Saturn in Libra opposes Uranus in Aries, and Pluto forms a 90-degree angle to both. This aspect has been in place since last summer, and the Uranus/Pluto aspect will continue until next summer. This summer the aspects come within a couple of degrees of exact, close enough to feel, but not close enough to come to a head and force a confrontation. This spells tension without the opportunity to actually address and relieve it. When a major configuration involves outer planets, we generally experience the aspect in our peripheral vision. We hear about the struggles happening in distant lands, or we know that major institutions are being shaken to their knees. It affects us, but not in our personal or business lives. This week features a few transits that bring these global issues into our local spheres. Jupiter, the planet of opportunity and expansion, forms an excellent aspect with Pluto in Capricorn this week. If you’ve been struggling with transitions or if the breakdowns in the economy have been shaking the structure of your business, this week can secure your foundations again. There is potential for practical solutions this week, which you can invite through earnest effort and a bit of trust. Change has come; this week you’ll recognize the benefits of that change and start looking forward to the future again. This is important, so keep your eyes open. Since the aspect between Jupiter and Pluto is in earth signs, we’re not looking for something subtle. Concrete manifestation is more likely but sometimes this aspect feels so good we miss the fact that some action is required. An opportunity that comes your way this week can carry you far into the future, so grab it when it comes. Venus, the planet of material rewards and interrelationships, meets up with the Saturn/Uranus/Pluto T-square, as well as Jupiter and Neptune this week. Having just entered the sign of Cancer, she’s spending the week negotiating peace treaties among all the players. If we can just treat each other like family, she says, then we can all reach prosperity together. Venus is no lightweight. We tend to personalize her because she represents a part of ourselves that is easy to feel and operates in our day-to-day lives. But as one of the emissaries of the Sun, she acts as an agent of our essential purpose in life through forming relationships with others. No matter what may be happening in the wider world, this week Venus bridges opposing parties and reminds us that collaboration beats competition every time. For us this means staying alert, seizing the moment, and choosing to nurture and protect everyone within our sphere, from employees to competitors to our human family as a whole. Mercury, the planet of reason and intellect, is also in the mix this week. Another agent of our conscious will, Mercury translates our intention into communications and problem-solving. The new, the technological, the innovative will flow into our thoughts this week; keep yourself open to radical viewpoints and inventive solutions to technical difficulties. Mercury is with both Uranus and Jupiter this week, which can lead to exciting breakthroughs. Later in the week, a supportive Mercury/Saturn aspect brings the discipline and perseverance to settle the buzz of the week into a practical implementation plan. 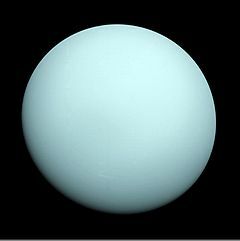 Uranus represents originality and unconventionality, either the brilliant genius or the willful rebel without a cause. Each year Uranus spends five months in retrograde motion. Retrograde motion is a visual event rather than an astronomical one. From our vantage point on earth, it looks like the planet begins to move backward against the backdrop of the constellations. When Uranus entered the sign of Aries a few months ago, we were probably flooded with new ideas for our businesses, innovations we couldn’t wait to try, a restructuring whose time had finally come. We may have been “on fire” with potential and possibility. Especially with unpredictable Uranus in impulsive, risk-loving Aries, the innovations we’ve been so fired up about could probably use a second look. This is the gift of retrograde motion – it gives us a chance to retrace our steps, to check initial results against expectations, and to correct decisions before they can do real damage. When a planet moves into retrograde motion, we can experience reversals and disruptions for a week on either side. The tricky part about an outer planet like Uranus is that the reversals could well seem to be coming from forces outside yourself: that new project doesn’t get approved after all, that funding doesn’t come through as scheduled. If this is your experience, take a step back. Uranus can act suddenly and swiftly but after a couple of weeks, as we adjust to the retrograde energy, we’ll discover the purpose for the setback. And then we’ll be thanking our lucky stars! Have a wonderful week! Happy Independence Day to everyone in the U.S.
Mercury continues to be bright and active this week. After last week’s conjunction to Uranus and square to Pluto, this week the messenger of the gods joins Jupiter in Aries on Tuesday and then opposes Saturn in Libra on Friday. This sets up a powerful Full Moon on Saturday in Mercury’s sign, Virgo, and then the Equinox, Vernal or Autumnal, on Sunday. Mercury joins Jupiter in Aries – Excitement! Mercury represents our intellectual faculties and rules all kinds of meetings, communications, written and verbal interactions, negotiations, and transportation. As the conscious part of our mind, he travels in two directions: into our subconscious, gathering subtle impressions to bring to our awareness, and into the world around us, bringing external information to consciousness, too. Mercury with Jupiter in Aries is immensely creative. New ideas sprout with fervor, an abundance of inspiration taking us into new territory and beyond. This does not mean every idea is a good one; this energy is big on enthusiasm and short on practicality. Big plans under this aspect carry big risks too, and new projects can ignite suddenly and then die away after the initial enthusiasm. This is not to say that there is nothing worthwhile in all this excitement. The bridge that Mercury forms to Jupiter can alert us to opportunities and our intuition will be in high gear. We just need to know that some of our ideas may be flashes in the pan. Enjoy the energy, but don’t invest in it yet. Toward the end of the week a healthy dose of Saturnian energy will bring matters down to earth. The Mercury/Jupiter energy will have us running in different directions, bearing our own flag; the Mercury/Saturn energy will remind us of the requirement to work with others and to put practical plans in place if we really want to accomplish something. Mercury/Saturn will alert us that agreements should be in writing, and that contracts should be signed, sealed, and delivered, not just sitting on someone’s desk somewhere. Saturn helps us with the practicalities that give our ideas legs and protects us from going too far, too fast. The Saturn energy may seem to come from outside authorities, the boss, or the investors, your accountant, someone demanding you to slow down and pay attention. Or you may have to be the one to put the brakes on your team’s imagination. Don’t be surprised if the optimism of the early part of the week turns into discouragement by the end. Actually, balance is needed between the two. So I’d say take the week as it comes. Be excited by new information in the early part of the week, and then focus on plans for implementation in the latter part. The waxing energy of the Moon all week will contribute to accomplishment and when it is Full on Saturday it’s time to display our latest project. This is presentation time; you’ve taken your latest effort as far as it will go and it’s time to let it stand on its own. With the Full Moon in Virgo, a technical, detailed presentation will capture everyone’s attention. Sunday is the Equinox, the first day of spring in the northern hemisphere and autumn in the Southern. Half way between the longest and the shortest day of the year, this is a turning point in the annual cycle of the Earth’s orbit around the Sun. It’s time to take stock: how far have you come since the December Solstice? Are you on track with your goals for the year? Is there a course correction you need to make? I think a celebration is in order for Sunday. This year may have been difficult so far but the Equinox brings a shift and the first day of Aries can make everything fresh and new. Let’s welcome the new energy with space for a new perspective! Have a wonderful week and let me know how it all pans out. As I was finishing this post I heard from a client. She was checking in about last week’s ingress of Uranus into Aries and linking this to the earthquake and nuclear reactor explosion in Japan. These events could have a direct impact on her business as one of her biggest clients is connected to the nuclear industry. How about you? Did you experience any fallout in your business from last week’s events? Tell us about it as we all tiptoe into Uranus in Aries with anticipation and some trepidation, knowing that sudden and unexpected events (Uranus) can bring a whole new cycle of innovation (Aries).